This is the fourth time in her career Huerta has earned the NWSL Player of the Week award. 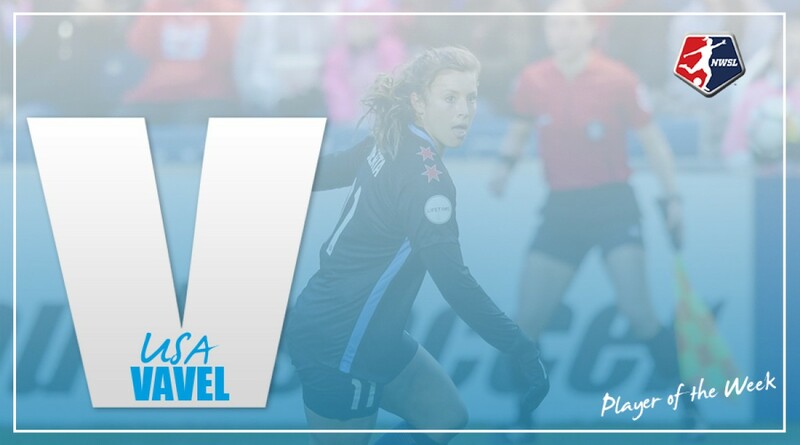 The National Women’s Soccer League writers association has voted Chicago Red Stars midfielder Sofia Huerta Player of the Week for Week 4 of the 2018 season. The U.S. international tallied two goals in two games in Week 4 play. Huerta’s first goal of the week came in a win against the Houston Dash while her second goal helped Chicago earn a draw against Sky Blue FC. Entering Week 4, Sofia Huerta only had two assists in three games. Huerta and fellow midfielder Danielle Colaprico have been a force to deal with in the Red Stars midfield. The duo have created multiple quality chances in opponents final third. They displayed their prowess in a mid-week matchup against the Houston Dash. Huerta scored her first goal of the season in the 74th minute when Colaprico delivered a long-driven ball into the box where Huerta headed it home for Chicago’s third and final goal of the night. Huerta almost collected the brace in the 79th minute but Houston goalkeeper Jane Campbell tipped her shot over the bar. All together Huerta finished with four shots on goal. Chicago would win the match 3-0. Huerta wasted no time collecting her second goal of the week and second of the season Saturday night against Sky Blue FC. 44 seconds into the match, Huerta lofted a cross that carried over the head and into the net of Sky Blue FC goalkeeper Kailen Sheridan. The goal would be the second fastest in Red Star history. Alyssa Mautz has the fastest Red Stars goal at 40 seconds in 2013. Huerta had five shots on goal during the match. Chicago and Sky Blue FC would play to a 1-1 draw. 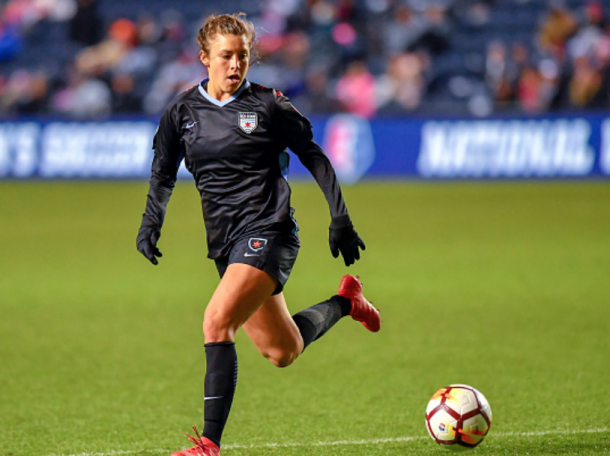 Huerta will try to continue her hot streak when the Chicago Red Stars travel to Maryland SoccerPlex to take on the Washington Spirit on Saturday, April 28 at 7 PM ET. The NWSL Player of the Week is selected each week of the regular season by the NWSL Media Association, a collection of writers that cover the league on a consistent basis.